Cycling is trending these days. Aside from the mindset people have toward cycling, the bike itself is changing fast and you could be shocked with how much high technology is added to today's bicycles. In this article, I'd like to introduce to you the revolutionary and state-of-the-art bikes known as the electronic bicycles with folding capability. You can find our recommendations of best folding electric bikes 2017 in the market and useful tips for purchasing and maintaining the bike the right way. Let's get started! 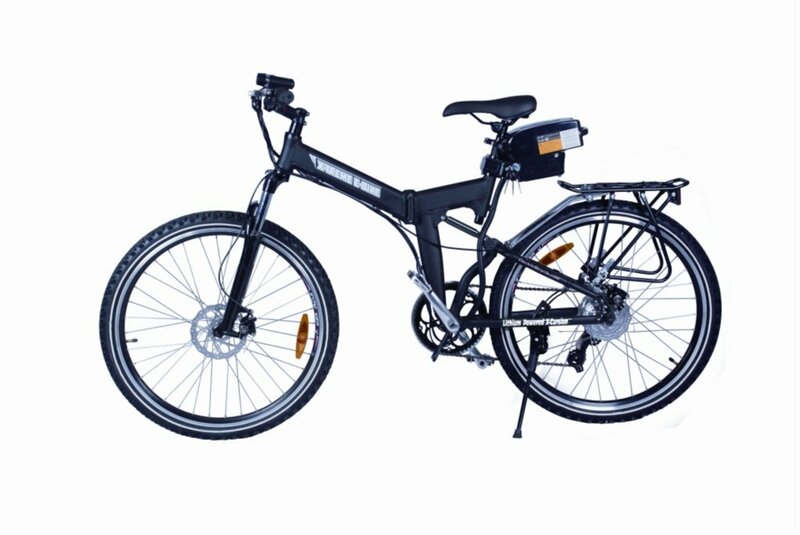 What Makes Folding E-Bikes Different From Others? Don't forget to check out our other guides right here! 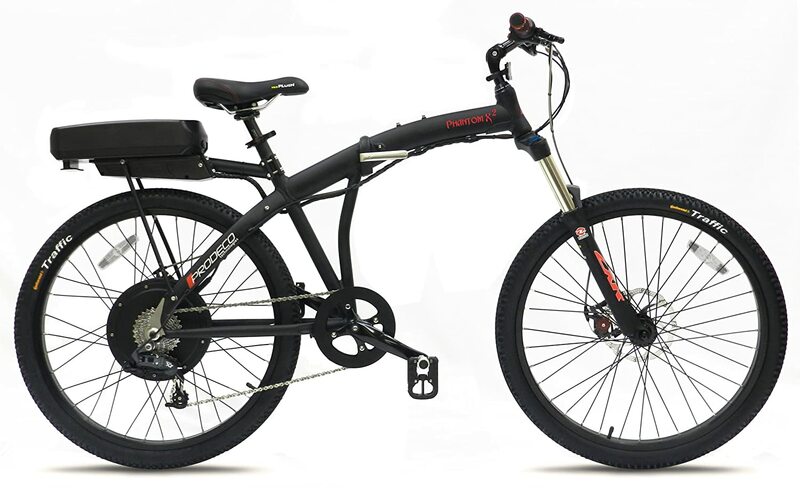 This is a stylish and powerful folding electric bike which presents excellent power because of its high-end torque. With its 500-watt motor connected in the rear wheel, this direct-driven alternator can drive at a maximum of 750 watts. Fanatic drivers will be satisfied with the X7 Twist 8-speed shifter and just giving half-twist propulsion throttle, it reaches up to 20mph. High-end Torque Motor. It has 500 watts direct-drive motor that provides superior strength. SRAM Drive Train. Prodeco consists of X7 Twist 8-speed shifter and X7 8-speed mid derailleur. Suspension Fork. This suspension fork minimizes shock. Electronic Throttle Issue. There are stuttering and surges after rainstorm. Power Problem. Sensor wires enter the hub motor thru the hollow axle. Rain can enter the motor housing. This foldable electric bike is an innovation in its finest. It is convenient to use and is created for comfort. The main characteristic that we love about this GB FS5 bike is its full suspension. This feature is uncommonly seen on a small-wheeled folding model. Greenbike USA Electric Motor brings to completion your desire for cycling needs because it is technologically a hybrid bike. The aluminum frame is solid and durable, with the capability to fold away. The battery of Greenbike is fast-charging and long-lasting. It allows you to reach a distance of 50 miles for every charge. Full Suspension: For a far-distance ride, there is no comparison for the word comfort. With the bike’s full suspension capability, riding is smooth and comfortable, achieving the capacity of up to 20 MPH. It is solidly built and very efficient for commuting. Additional features, such as LCD display and USB output, enhance the usage experiences. Rear Shock is an excessive part. The rear shock is not needed in this bike. The bike is quite heavy. It contains certain features that make it heavier than other products. 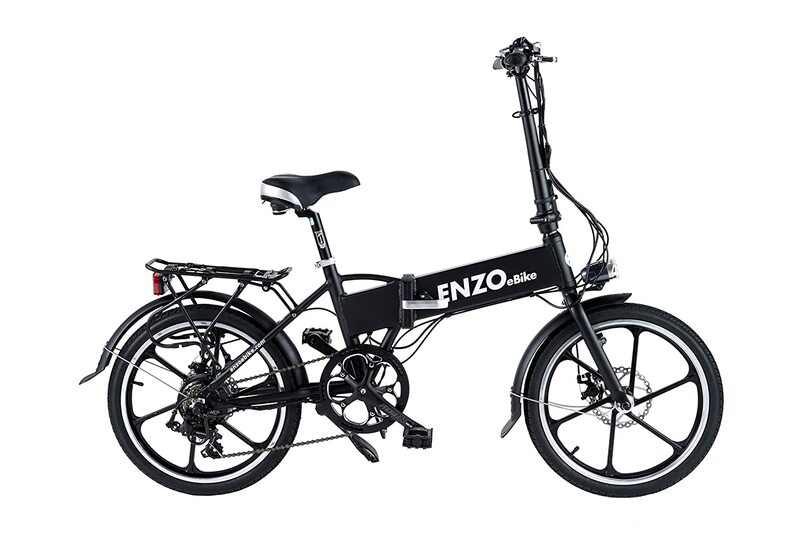 In the market today, Enzo bike is one of lightweight yet most durable folding electric bikes. It can be stored handily inside the trunk of a car. Its removable battery can easily fit inside the frame which allows extra space for its accessories. LED Seat Post. One safety feature that acts as reflector. Lightweight. Enzo frame is made from rust resistance aluminum. Power Brake. Front and rear wheels are equipped with power cut-off braking display system. Uneasy Ride. Bottom bracket of Enzo is high that it is not ideal in riding stance. Uncomfortable Seat. It has longer seat post. Rhythmic Popping. Loose items cause the clicking although everything is tightened up. X-Cursion is an electric bike that has the ability to fold in half so that it can be transported easily. This is a Lithium Battery powered bike and has built-in 7 Speed Shimano gears. 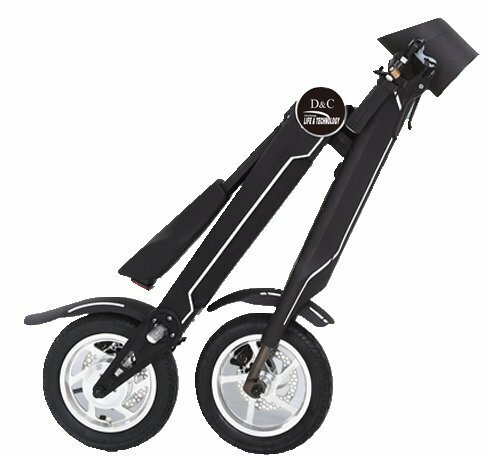 It contains quick release front wheel attached to an aluminum alloy frame. Ideal Bike. Transporting this bike is made easy because it can be folded in half. Pedal-less Feature. This bike can be used without pedaling. Energy Efficient. It uses an average of 100 watts of electrical power. Seat is too high. You cannot put your feet comfortably once you use its seat. It is too high for a 5’4” person. 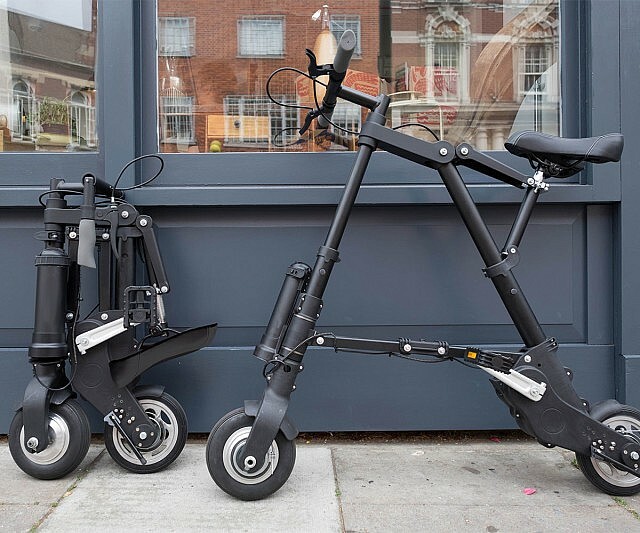 CleveYoung cBike is a remodeled foldable electric scooter. It has features that make it fashionable, intelligent and comfortable to ride on. The ‘arrow up’ symbol allows you to fold it completely to fit inside your trunk. Large LCD Screen. You can easily monitor all of the basic functions of your scooter like the battery information, distance, temperature and speed. Smart Remote Key. It easily locks or starts the scooter which makes it easy to use. Maximum Speed is Pre-adjusted. The 15mph maximum speed cannot be adjusted manually. Longer Charging Time. CleveYoung cBike has a charging time between 3 to 5 hours. From among the reviewed folding electric bikes, most of them have the capabilities of making your travel more convenient and comfortable. All of them have the features, the qualities and the comfort they can give you to switch from conventional bike to e-bike. But looking closer, there are unique factors that a particular e-bike stands from the rest. All of them have the suspension for absorbing shock, quality braking systems, comfortable seats and many others. But the thing to be considered most is the motor power. 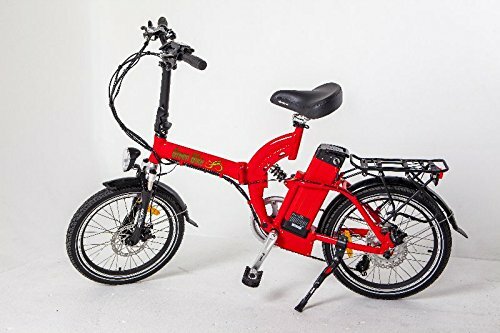 Because of its high-end motor that provides superior power, Prodeco V5 Phantom X2 8 Speed Folding Electric Bike is highly recommended by use for excellent usage. Nowadays, folding electric bikes become so popular. With the vast developing technology around, these bikes are so efficient to use. It can easily be folded and placed from one location to another without any difficulty. 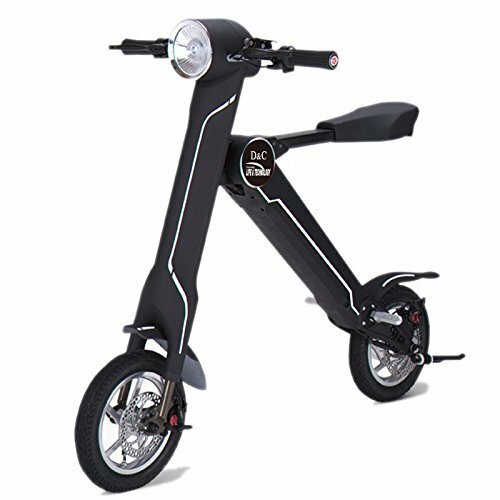 With the number of vehicles increasing to a proportion that some parking areas cannot accommodate the bulk of vehicles, buying a foldable electric bike is a great choice for easy storage and parking as well as loosening traffic. It is very hard for people to shift from using their standard vehicle to a bicycle because they think they will spend more effort in using one. Because of the technological advancement we are experiencing today, electric bikes are the greatest alternative in traveling from one place to another. You can either report for work, go to school or plainly joy-riding making use of a foldable electric bike. As compared to an ordinary bike, foldable e-bikes can be less straining on your knees especially when you ride long-distance trips. This kind of motor-powered vehicle is very suitable for those whose physical condition is not good enough for intensive activities. You can totally rest your legs while the e-bike rides forward with its motor. This is definitely an ideal choice if you are looking to commute without facing the inconveniences of road congestion. Foldable electric bikes are available in different shapes, models and sizes depending on your most appropriate needs. Each type has its own health benefit as you have the choice to ride comfortably using pedal assistance but spending lesser muscular efforts. What makes folding electric bicycles different? What can be the underlying factors in choosing the best electric bike for you? Let's find out in this section! The battery is the life of these vehicles. If you live 20 miles away from your job, using an electric bike would be a better choice. Lithium batteries can reach an average of 20 miles per single charge. And if there is enough space in your office, you can charge the battery while working. The great deal in owning this type of vehicle is that even if battery life runs out, you can pedal your way back home. The power of the bike is also a big concern. The heavier the rider is, the more he has to pay extra motor wattage capacity and higher battery rating. You must also consider the weight of the bicycle you want to buy. 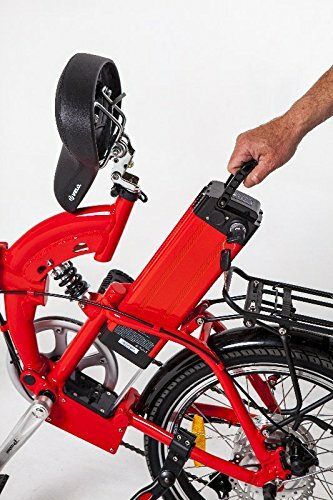 Most folding e-bikes aren't as lightweight as normal folding bikes due to their motors and batteries. But in general, their weights are still manageable: their average weight is around 40-50 lbs. What you need to consider is on which occasion you need to transport or carry them: during mountain hiking or crossing shallow rivers for camping, or during your ride to work? You must be comfortable when you ride your electric bike. There are vehicles whose seats are too high for smaller people. There are also bikes that lack the suspension for shock absorbing when trekking rugged terrains. Luckily, folding e-bicycles are sold in different types and models. It also comes in a variety of shapes and sizes so you can choose your bike depending on your needs. It is necessary that after deciding to buy the electric bike of your choice, better test drive it and compare its usability with other bikes. How to properly care of your bike is like taking yourself to a routine medical check-up. In the maintenance of an electric bike, it is not that different as to how you maintain an ordinary bicycle. The big difference lies on the electrical components of the electric bike. All other parts require the same care and maintenance. Since electric bikes stand to be used farther and handled on a faster pace than an ordinary bike, they need more attention especially these elements that will make the bike run slower. Gear dirt and deflated tires are some of the common problems being encountered by these vehicles. When you reach this point, it will make your battery to work harder. At this point, battery life is cut short and the bike can travel in a lesser distance. Cleaning is the most fundamental thing one can do to his electric bike. This will allow it to serve you for a longer period. As a routine, it is advisable to clean the bike after each ride, removing all the dirt, mud and other debris. The cleaning of electrical components must be done in a gentle manner to make sure that the motor and electrical housing are cleaned and dried.